(Reuters) – Al Qaeda’s North Africa wing has claimed responsibility for a suicide attack on a military academy in Algeria, accusing it of supporting the regime of Libya’s Muammar Gaddafi. A statement by Al Qaeda in the Islamic Maghreb (AQIM) named Abu Anas and Abu Noh as the two suicide bombers who hit the barracks housing a prestigious military school in the coastal town of Cherchell on Friday in one of the deadliest attacks in the country in recent years. Algeria’s Defense Ministry said 16 soldiers and two civilians were killed in the attack. AQIM’s statement, posted on an Islamist website which regularly carries al Qaeda communiques, said 36 people were killed. “On the night of the 27th of this holy month, and while the Muslim Libyan people were completing their victory over the dictator Gaddafi … the mujahideen in Algeria pursued their blessed attacks against the Algerian criminal regime, an ally to Gaddafi,” the statement, posted on Sunday, said. Algeria has previously denied accusations by Libyan rebels of backing Gaddafi in the country’s civil war. Algeria, an energy exporter and a key U.S. ally in its campaign against al Qaeda, is still emerging from nearly two decades of conflict between security forces and Islamist militant groups that killed around 200,000 people. In the past three years the violence has subsided, with suicide bombings on targets in built-up areas becoming rare. The location of Cherchell, which lies some 100 km (60 miles) west from Algiers was unusual as attacks have previously focused on territory east of the capital, including the mountainous Kabylie region, where AQIM has a stronghold. Algeria has said it believes AQIM is exploiting the chaos in Libya, and smuggling weapons out of that battlezone to its base in the Sahara. On Friday, the attackers drove up to the barracks soon after iftar — when Muslims break their daily fast during the holy month of Ramadan. Residents said the first attacker blew himself up at the entrance before the second ran into the front courtyard where officers were sitting down to eat. Question:Please comment on the calls of US President Barack Obama and EU High Representative for Foreign Policy Catherine Ashton for Syrian President Bashar al-Assad to step down. Answer:Our position on the events in the Syrian Arab Republic (SAR) is that the leadership of the country headed by President Bashar al-Assad has to be given more time to carry out the declared major program of political and economic reforms. Recently, Damascus has taken very substantial steps toward that end. Those steps included lifting the state of emergency; dissolving the Supreme State Security Court; issuing a decree on the right of citizens to demonstrate peacefully; putting multiparty and general election laws into effect. Work to pass media and local government laws is nearing completion. The general elections will be held before the end of the year, and constitutional reform completed before February-March 2012. An amnesty for political prisoners has been announced. Humanitarian access to Syrian territory has been opened. Currently, a mission of the UN Office for the Coordination of Humanitarian Affairs is in the SAR. Syrian authorities are also ready to receive a delegation of the Office of the UN High Commissioner for Human Rights. Of course, the situation in Syria, and the reports of deaths of people there, cannot help but disturb us. After all, this state is one of the pillars of Middle Eastern architecture. Its destabilization would have the most severe consequences for the entire region. We believe that a clear and unambiguous signal has been sent to the Syrians about the need to end all violence. This signal is also for the opposition, which should enter into dialogue with the authorities and dissociate itself from extremists. Outside encouragement of the radical forces that incite tension in the SAR, we strongly believe, is inadmissible. Based on these considerations, we would like to point out that we do not share the US and EU point of view concerning President Bashar al-Assad and will continue to pursue our consistent and principled line on Syria. [Once the Libyan disaster is revealed as the grand fiasco that it truly is, then the Syrian disaster should already be a fait accompli, dragging Lebanon along with it, ever closer to a critical mass. After merging these Sunni-based conflicts with the festering wound of Iraq, the CIA master manipulators should have the real regional conflict on their hands that they have been so diligently seeking. That will be the point where all military restraint will go out the window. NATO will be free to use all of their forces–that is, ALL OF THEIR FORCES–first the massive saturation bombing campaigns will get underway. By then, Iran will clearly be Public Enemy Number One. This is the perfect planner’s moment for spooks like Mike Vickers, who is the “limited warfare” specialist who formulated the allegedly fictitious “take-over-the-world plan” that the Pentagon/CIA has been following for the past thirty years. Selective nuke strikes would then become an acceptable solution to a regional war in the Middle East, settling the Middle East down like nothing else that has ever been tried in the past. At that point everybody would be whipping-out their own nukes (including Saudi Arabia), to deny their own impotence and to deny Iran the right to have its own nuclear defense. The Arab Spring is a hopeful chapter in Middle Eastern politics, but the region’s history points to darker outcomes. There are no recent examples of extended power-sharing or peaceful transitions to democracy in the Arab world. When dictatorships crack, budding democracies are more than likely to be greeted by violence and paralysis. Sectarian divisions – the bane of many Middle Eastern societies – will then emerge, as competing groups settle old scores and vie for power. Syria today stands at the edge of such an upheaval. The brutality of Bashar Assad’s regime is opening a dangerous fissure between the Alawite minority, which rules the country, and the majority Sunni population. After Assad’s butchery in the largely Sunni city of Hama on July 31, on the eve of the holy month of Ramadan, the Muslim Brotherhood, a Sunni group, accused the regime of conducting “a war of sectarian cleansing.” It is now clear that Assad’s strategy is to divide the opposition by stoking sectarian conflict. Sunni extremists have reacted by attacking Alawite families and businesses, especially in towns near the Iraqi border. The potential for a broader clash between Alawites and Sunnis is clear, and it would probably not be confined to Syria. Instead, it would carry a risk of setting off a regional dynamic that could overwhelm the hopeful narrative of the Arab Spring itself, replacing it with a much aggravated power struggle along sectarian lines. That is because throughout the Middle East there is a strong undercurrent of simmering sectarian tension between Sunnis and Shiites, of whom the Alawites are a subset. Shiites and Sunnis live cheek by jowl in the long arc that stretches from Lebanon to Pakistan, and the region’s two main power brokers, Shiite Iran and Sunni Saudi Arabia, are already jousting for power. So far this year, Shiite-Sunni tensions have been evident in countries from Bahrain to Syria. But put together, they could force the United States to rethink its response to the Arab Spring itself. Sectarianism is an old wound in the Middle East. But the recent popular urge for democracy, national unity and dignity has opened it and made it feel fresh. This is because many of the Arab governments that now face the wrath of protesters are guilty of both suppressing individual rights and concentrating power in the hands of minorities. The problem goes back to the colonial period, when European administrators manipulated religious and ethnic diversity to their advantage by giving minorities greater representation in colonial security forces and governments. Arab states that emerged from colonialism promised unity under the banner of Arab nationalism. But as they turned into cynical dictatorships, failing at war and governance, they, too, entrenched sectarian biases. This scarred Arab society so deeply that the impulse for unity was often no match for the deep divisions of tribe, sect and ethnicity. The struggle that matters most is the one between Sunnis and Shiites. The war in Iraq first unleashed the destructive potential of their competition for power, but the issue was not settled there. The Arab Spring has allowed it to resurface by weakening states that have long kept sectarian divisions in place, and brutally suppressed popular grievances. Today, Shiites clamor for greater rights in Lebanon, Bahrain and Saudi Arabia, while Sunnis are restless in Iraq and Syria. This time, each side will most likely be backed by a nervous regional power, eager to protect its interests. For the past three decades the Saudi monarchy, which sees itself as the guardian of Sunni Islam, has viewed Iran’s Shiite theocracy as its nemesis. Saudis have relied on the United States, Arab nationalism and Sunni identity to slow Iran’s rise, even to the point of supporting radical Sunni forces. The Saudis suffered a major setback when control of Iraq passed from Sunnis to Shiites, but that made them more determined to reverse Shiite gains and rising Iranian influence. It was no surprise that Saudi Arabia was the first Arab state to withdraw its ambassador from Damascus this month. The imprint of this rivalry was evident in regional conflicts before the Arab Spring. 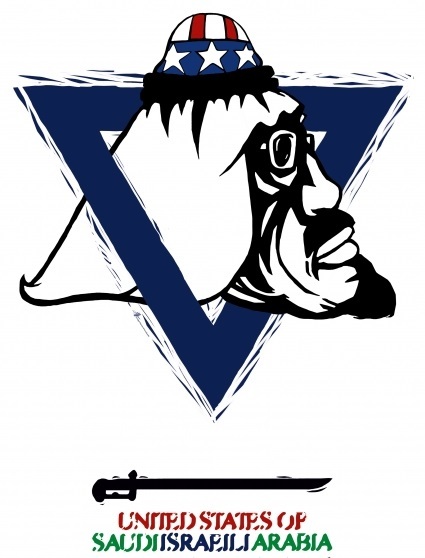 Saudis saw Iran’s hand behind a rebellion among Yemen’s Houthi tribe – who are Zaydis, an offshoot of Shiism – that started in 2004. Iran blamed Arab financing for its own decade-long revolt by Sunni Baluchis along its southeastern border with Pakistan. And since 2005, when Shiite Hezbollah was implicated in the assassination of Rafik Hariri, a popular Sunni prime minister who was close to the Saudis, a wide rift has divided Lebanon’s Sunni and Shiite communities, and prompted Saudi fury against Hezbollah. The sectarian divide in Lebanon shows no sign of narrowing, and now the turmoil in Syria next door has brought Lebanon to a knife’s edge. Meanwhile, Hezbollah’s audacious power grab has angered Saudi Arabia. Officials in Riyadh see the turn of events in Lebanon as yet another Iranian victory, and the realization of the dreaded “Shiite crescent” that King Abdullah of Jordan once warned against. The Saudis are right to be worried about the outcome of sectarian fights in Lebanon and Bahrain, but in Syria it is Iran that stands to lose. Both sides understand that the final outcome will decide the pecking order in the region. Every struggle in this rivalry therefore matters, and every clash is pregnant with risk for regional stability. The turn of events in Syria is particularly important, because Sunnis elsewhere see the Alawite government as the linchpin in the Shiite alliance of Iran and Hezbollah. The Alawite-Sunni clash there could quickly draw in both of the major players in the region and ignite a broader regional sectarian conflict among their local allies, from Lebanon to Iraq to the Persian Gulf and beyond. The specter of protracted bloody clashes, assassinations and bombings, sectarian cleansing and refugee crises from Beirut to Manama, causing instability and feeding regional rivalry, could put an end to the hopeful Arab Spring. Radical voices on both sides would gain. In Bahrain, Lebanon, Syria and Iraq, it is already happening. None of this will benefit democracy or American interests. But seeking to defuse sectarian tensions wherever they occur would help ensure regional stability. Even if Washington has little leverage and influence in Syria, we should nevertheless work closely with our allies who do. Turkey, which is a powerful neighbor, could still pressure the Assad government not to inflame sectarian tensions. And both Turkey and Saudi Arabia could use their influence to discourage the opposition from responding to President Assad’s provocations. Beyond Syria, the two countries most at risk are Bahrain and Lebanon, and here we can have an impact. The United States should urge Bahrain’s monarchy to end its crackdown, start talking seriously with the opposition, and agree to meaningful power sharing. Washington has strong military ties with Bahrain and should use this leverage to argue for a peaceful resolution there. In Lebanon, we should not encourage a sectarian showdown; instead we should support a solution to that country’s impasse that would include redistribution of power among Shiites, Sunnis and Christians. Lebanon last had a census in 1932, and its power structure has since favored Sunnis and Christians based on that count. Meaningful power-sharing in Beirut is as important to peace and stability in Lebanon as disarming Hezbollah. The Middle East is in the midst of historic change. Washington can hope for a peaceful and democratic future, but we should guard against sectarian conflicts that, once in the open, would likely run their destructive course at great cost to the region and the world. BEIRUT – The success of Libya’s rebels in toppling their dictator is prompting calls within the Syrian opposition for armed rebellion and NATO intervention after nearly six months of overwhelmingly peaceful demonstrations that have failed to dislodge President Bashar al-Assad. So too are the older dissidents who long have dreamed of the nonviolent revolution now unfolding against a regime that has proved every bit as brutal as the one led by Libya’s Moammar Gadhafi. Protesters in recent days have carried banners calling for a no-fly zone over Syria akin to the one that facilitated the Libyan revolt. “We want any (intervention) that stops the killing, whether Arab or foreign,” said one banner held by protesters in the beleaguered town of Homs. Yet although President Barack Obama called this month for Assad to step down, world powers, including the United States, have shown little appetite for any form of entanglement in Syria. Is “The Right Side of History” Determined By Profit or Morality? [The argument is made in the following article for India and the other BRIC countries to “get on the right side of history” in reference to the Imperial onslaught against Libyan dictator Qaddafi, arguing for the commercial advantages of being seen supporting the Empire’s position early on. India and other moral governments must ask themselves: Why is the side promising the greatest profits the “right side”? History will judge the Imperial aggressors in Libya and soon in Syria as the war criminals that they really are, unless they are unsuccessful in their plans to forge a “New World Order” from the blood of conquered nations. If they fail to conquer the world, due to either overreach, or ineptitude, then future humanity will relegate Obama and friends to the same immoral status as Hitler and Stalin. 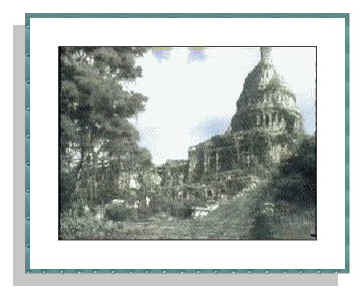 The Western author of the following piece suggests that governments should switch from opposing Imperial aggressions to supporting them, once the national resistance groups form a “government-in-waiting.” Considerations for future profits should compel thinking governments to go with the apparent winners, even though the American formula for forced regime change “is likely to be protracted and bloody.” If American patriots formed their own government-in-waiting, would the UN troops then liberate us from our own bloodthirsty government? An offer to assist Libya with its post-Qadhafi reconstruction and rehabilitation coupled with India’s remaining days as president of the United Nations Security Council and an invitation to attend this week’s Friends of Libya conference in Paris enable India to turn the page in its somewhat troubled relations with North Atlantic Treaty Organisation (NATO)-backed rebels poised to form the North African country’s new government. The opportunity arises as India alongside China, Russia, Brazil and South Africa – the five Security Council members that did not support the imposition last March of a no-fly zone in Libya and NATO’s bombing campaign — finds itself forced to rethink its approach towards embattled Arab autocratic leaders in the wake of the rebels’ takeover of the Libyan capital of Tripoli. China and Russia scrambled last week to improve their ties with the rebel Transition National Council (TNC) in a bid to salvage commercial ties and opportunities in post-Qadhafi Libya. Libya may be their most immediate concern as the TNC asserts its authority in the country, but India like China, Russia and the others, is certain to debate the implications of Mr. Qadhafi’s fall in its policy towards other embattled Arab leaders, first and foremost Syrian president Bashar al Assad. The exercise is likely to provide India and others in the international community a template for similar situations that are certain to arise as anti-government protests sweep the Middle East and North Africa, particularly as protesters’ resolve in Syria and in Yemen is boosted by events in Libya and opposition groups seek to emulate the Libyan model of forming a united leadership that effectively serves as a government-in-waiting. Syria is probably next in line with protesters displaying the kind of resilience and perseverance that has rendered Mr. Assad’s five-month old brutal crackdown a failure. As western sanctions particularly of Syria’s oil sector start to kick in, the question no longer is if but when Mr. Assad will be forced out of office. India alongside China and Russia is likely to want to ensure that it maintains some kind of constructive relationship with the forces likely to succeed the Syrian leader. Commentators have been quick to note that Asia’s commercial interests in Libya are limited and are likely to in good time assert the same with regard to Syria. India’s interests in Libya are virtually non-existent while China relied last year on Libya for only three per cent of its crude imports but had to evacuate from Libya 36,000 workers employed by 75 primarily State-owned Chinese companies earlier this year. Mr. Qadhafi’s fall was preceded by peaceful mass protests that forced the Presidents of Tunisia and Egypt to resign earlier this year. The grievances that have propelled the rebellion in Libya and the protests in Syria, Tunisia and Egypt are shared with the population of a swath of land that stretches from the Atlantic coast of Africa to the Gulf. Change by hook or by crook is likely to be the name of the game for the next decade in the Middle East and North Africa, a region that is strategic because of its geography, energy resources and the financial clout of its oil producers. That is most immediately true in Libya where the TNC has to quickly move from the rebel capital of Benghazi in the east of the country to Tripoli in a demonstrative gesture of its taking control of the country and a city of two million that is without political leadership or direction. With no running water in Tripoli because supply from aquifers in the desert has been disrupted by the fighting [SEE COMMENT below, on aquifers’ bombing–editor] and barely any electricity, the TNC has already promised to immediately start distributing 30,000 tons of gasoline as well as diesel fuel for power stations. In a country, in which in his 42 years in power Mr. Qadhafi ensured that no institutions developed that could challenge his authority, the TNC and its elected successor will need substantial support in building a more open, transparent society from scratch. Iraq, which was wracked by sectarian violence and fratricide after the 2003 fall of Saddam Hussein, has served as an example of how not to do it. Those lessons are reflected in the TNC’s blueprint for the future, which outlines a 20-month timetable for the transition as well as procedures to ensure that the process is transparent. Like the rebels, Mr. Qadhafi too appears to have drawn inspiration from Iraq’s example. He allowed his capital to fall, ensured his escape and vowed to wage an insurgency. Hussein fled to his hometown of Tikrit where he exploited his successor’s policies to fuel sectarian strife. Mr. Qadhafi’s whereabouts remain a mystery and it is not clear whether he has returned to Sirte. Unlike Hussein, Mr. Qadhafi has no powerful neighbours on whose support he will be able to rely. As a result, Mr. Qadhafi’s final stand could prove to be a less bloody and wrenching battle than that of Hussein and his associates. It took five months of bloodshed in Syria for India and the other Security Council holdouts to endorse condemnation of Mr. Assad’s crackdown and then only in the weakest possible form because of their concern that it could lead to foreign military intervention. Syrians, unlike Libyans, oppose foreign military aid and have so far insisted that they do not want to move from peaceful to armed resistance. 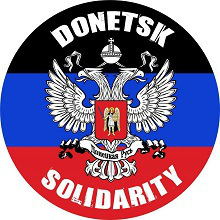 James M. Dorsey’s article (Aug.29) is a part of the global exercise for endorsing the wrongs and the crimes committed by the aggressors. He fails to condemn the violation of UNSC Resolution 1973 for no-fly-zone and not to arm the rebels and bomb Libya for over 162 days. His advice for India to quickly support the NTC goes against its principled stand taken in March. It was not fighting, as he says, for causing water-shortage but deliberate NATO bombings on water supply network on July 22 and of the Pre-Stressed Concrete Cylinder Pipe Factory Brega on July 23 which brought water to 70% of Libya’s population. This Great Man-Made River Project started in 1984. 95% of Libya is desert and 70% of Libyans depend on water through this Nubian Sandstone Aquifer System under the southern desert. The UN failed to listen to Libya when it warned on April 3 that NATO-led air strikes could cause a “human and environmental disaster” if air strikes damaged the Great Man-Made River project. 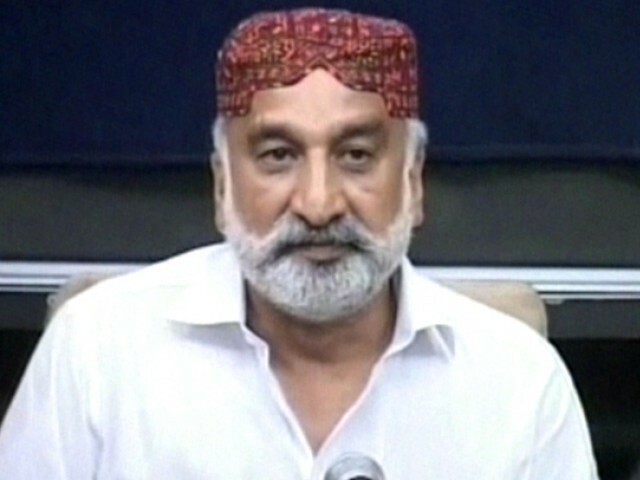 KARACHI: Three and a half years of pent-up frustration exploded live on national television on Sunday as Sindh Senior Minister Zulfiqar Mirza lashed out against Federal Interior Minister Rehman Malik – calling him a ‘congenital liar’ and ‘the single biggest threat to Pakistan’s future’ – as well as saying that the Muttahida Qaumi Movement was working on an American agenda to break-up the country. 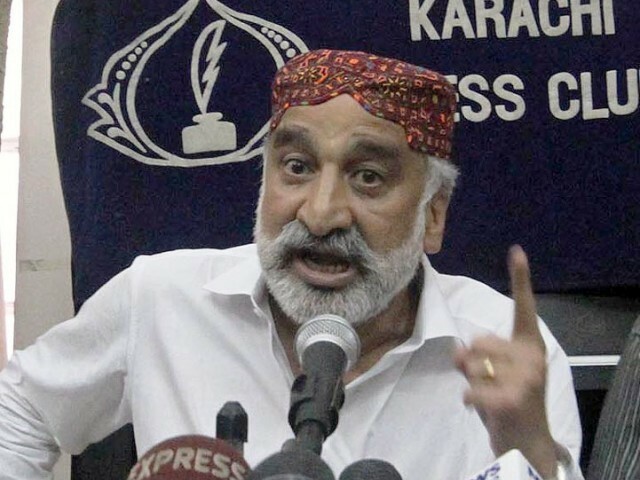 The fiery remarks came during a press conference in Karachi where Mirza started off by announcing his resignation from the Sindh cabinet, the Sindh Assembly as well as his position of senior vice president in the ruling Pakistan Peoples Party (PPP). He was quick to add, however, that he would remain a PPP worker “till the day I die.” Sindh Chief Minister Qaim Ali Shah was reported to have quickly accepted the resignation, no questions asked. The allegations against Malik and the MQM were explosive and have already caused a stir across the political spectrum. Mirza accused Rehman Malik of being ‘hand in glove’ with target killers in Karachi, who are held responsible for nearly 1,000 deaths since the beginning of the year. Mirza waved several documents (which he did not share with the media) that he said carried the ‘proof’ of the people responsible for the wave of violence in Karachi. “I have raised my voice against violence in this city and will continue to do so,” he said, adding that he would sell his properties if he had to but will unmask the killers. A large part of his rant, however, was reserved for the federal interior minister. “Rehman Malik is such a compulsive liar that if he is having an apple when you call him, he will say he is having a banana.” He also said that he had once requested President Asif Ali Zardari to enrol him at a university where he could learn how to lie, to which he was told by someone that there was one such university where Rehman Malik was vice chancellor. Mirza also stated that Malik was not loyal to Pakistan, pointing out that the interior minister’s entire family lives in London. “If any harm comes to Pakistan in the future, it will be because of Rehman Malik.” In contrast, he said that his family and his properties and business interests are all in Sindh. Mirza seemed to imply that Rehman Malik’s attempts to reconcile the ruling PPP with the MQM were one of the primary reasons why he (Mirza) – as Sindh home minister – was unable to curb the violence and the bloodshed in Karachi. 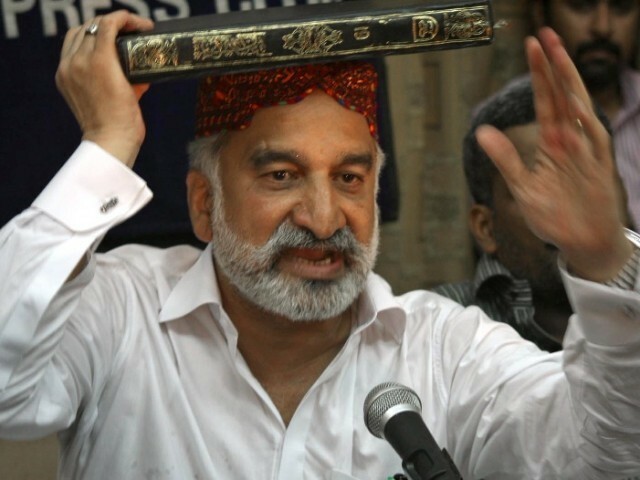 Not for the first time, Zulfiqar Mirza accused the MQM – including the party’s senior leadership – of being responsible for the violence in Karachi and even for trying to divide Pakistan, allegedly at the behest of the United States. The most specific allegation against the party was Mirza’s contention that six MQM workers were responsible for the killing of Geo News reporter Wali Khan Babar. “Five men – Mohammad Ali Rizvi, Shakeel, Faisal Mehmood, Shah Rukh and Tahir Naveed – are in custody and one Liaqat is still at large,” claimed Mirza. He added that he had moved 20 men – ten of whom were facing the death penalty and ten facing life imprisonment – out of prisons in Karachi to prevent them from running criminal networks from behind bars, but that this effort was foiled by Sindh Governor Ishratul Ebad Khan (of the MQM), who brought them back to Karachi. He added that 25 ‘known’ target killers were released from jail. “Saulat Mirza operates his network from death row,” claimed Mirza, referring to a convicted killer allegedly affiliated with the MQM. He said that he had a list of about 15,000 people who were involved in target killings and affiliated with political parties and went on to claim that the MQM’s electoral strength was dependent on the power of the gun. “MQM does not have a 100% mandate in Karachi and Hyderabad, but I will admit that their guns successfully get them that mandate,” he said. Yet even as he once again called for the people of Karachi and Hyderabad to reject the MQM, he apologised once again for his remarks – made at Awami National Party’s Sindh Chief Shahi Syed’s house – that had upset many in the Urdu-speaking community. “The whole nation is not bad. Certain sections are bad,” he said. Mirza also stated that the MQM appeared to be willing to work with foreign governments in order to strengthen its position within Pakistan and was even willing to go to the extent of breaking up Pakistan. He claimed to have a letter written by Altaf Hussain in 2001 where the MQM chief told then-British Prime Minister Tony Blair that he would be willing to support the western alliance if the British government helped MQM supporters get jobs in the army and help disband the ISI. Mirza then contrasted himself with the MQM, stating his support for the ISI and the army. He also claimed to have personally visited the MQM chief at his residence in London, where Altaf Hussain allegedly told him that the MQM was planning on supporting a ‘secret American plot’ to break up Pakistan. “I can’t stand anyone who talks about splitting this country,” he said. Officials say troops may relocate from tribal areas. ISLAMABAD: Pakistan might relocate a ‘significant number’ of troops from the lawless tribal areas to man its border towns along Afghanistan’s Kunar and Nuristan provinces to stop the increasing cross-border incursions by al Qaeda-affiliated Taliban, officials have said. The move is expected to add further complications to Islamabad’s troubled relations with Washington which have, of late, been calling for more deployment in the tribal badlands to combat militants it blamed for attacks on international forces in Afghanistan. A top military official told The Express Tribune on Sunday that authorities had already ordered reinforcing border checkpoints in Chitral and Dir districts after a brazen attack by militants allegedly based in Kunar. Close to 30 security personnel were killed and some other were missing after approximately 300 armed militants mounted an audacious attack inside Pakistan’s Chitral district on Saturday morning. It was one of several incursions by Taliban from Afghanistan into Pakistan in recent months, forcing Pakistani military authorities to take extra measures to protect areas along the porous and mostly unprotected border. A huge number of Pakistani Taliban took refuge in Nuristan and Kunar provinces in eastern Afghanistan after they were flushed out from Bajaur tribal district and Swat valley through military operations in 2009. Pakistani officials said that it had also been decided to intensify aerial surveillance of the border to put in place an early warning mechanism in case of militants’ movement from Afghanistan towards Pakistan. The official, who wished not to be named, added that helicopter gunships and troops will be on standby to react if they were given signals. When asked, he refused to give the exact number of troops being deployed in Dir and Chitral districts and the areas in tribal regions from where they were being relocated, saying it would be tantamount to revealing ‘operational details’ of a new security policy. 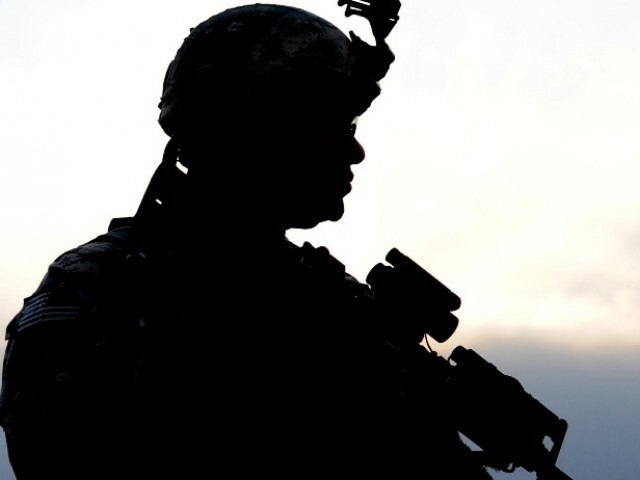 Around 100,000 troops are deployed in the tribal areas to combat Taliban. Though the official did not mention if North Waziristan was among the areas from where troops were being relocated, it might cause more bitterness in Pak-US ties.